The Al Siebert Resiliency Center is located in Portland, Oregon. Founded by the late Al Siebert, PhD, in 2002, our mission is to develop human resiliency around the world to master change, thrive under pressure and bounce back from setbacks. What in the Heck is a Resilitator™??? A “Resilitator™” is a mash-up of the words Resiliency and Facilitator. Certified Resiliency Facilitators, or ‘Resilitators,’ have gone through a personalized training program to show their mastery of resiliency training based on the philosophy of Al Siebert. Learn how you can become a Resilitator! Molly and Al were married from March, 2003, until his death in June, 2009. Molly is a champion of Al’s work and philosophy and is a huge proponent of keeping his important works on resiliency alive and and thriving. She first served as the Resiliency Center Marketing Director until she took over the reins after Al’s passing. Molly recieved a Bachelor degree in Health Information Technology Management which has served her well in the medical field. Review her profile on LinkedIn. Glen was trained as a trainer/consultant in 1972. He spent eighteen years in Continuing Higher Education, starting at San Francisco State University. He has taught for twelve colleges and universities since 1975. Since 1987, he has been both an internal and external trainer, coach, and organization development consultant. He has facilitated over 40 strategic planning retreats, spoken at many conferences, written many articles, and greatly expanded learning services wherever he worked. 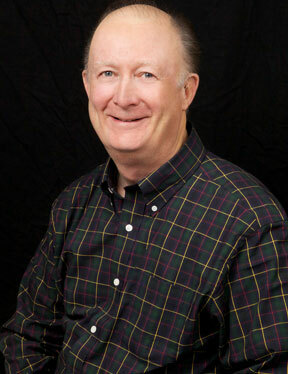 Glen has served on several local or regional boards such as ASTD, Oregon Ethics Commons (both as President), Al Siebert Resiliency Center, United Way, OODN and Habitat for Humanity (Sec., VP). He directed the State of Oregon’s Charitable Fund Drive for years. Trained for Oregon Food Bank and Medical Teams International. Glen was also a personal friend of Al’s and was hand-picked by Al to take over the role of Lead Facilitator. Review his profile on LinkedIn. Hire Glen as a Speaker or Consultant. Michelle is an ICF Certified Coach, a Newfield Certified Coach, a Certified Resiliency Facilitator, and a Sacred Money Archetypes Certified Coach. With over 25 years of experience working with people navigating the complexities of transition, she empowers people to use change and challenge as opportunities to strengthen their innate resilience so they can become leaders in their own lives, businesses and workplaces. As adjunct faculty, Michelle facilitates Resilient Leadership seminars to a cross-section of federal government leaders, at the EMDC in Shepherdstown, West Virginia, the WMDC in Denver, Colorado, and the and the FEI, in Charlottesville, Virginia, as well as the FDA, DOI, and others. She also provides Resilient Leadership coaching and training for not-for-profit organizations, community colleges and large corporations. Additionally, Michelle certifies others in the best-selling resiliency work of the late Al Siebert, PhD, for the International Al Siebert Resiliency Center, and runs a thriving, private, transformational coaching practice. Michelle comes with a huge transformational toolbox to empower you to take tangible, life-changing action. Read her profile on LinkedIn. Learn more about Michelle at Trust-Change.com. Kristin is the youngest niece of Al Siebert and worked as his assistant for almost twenty years taking on any task of support Al may have needed, from processing book orders to designing web pages and most everything in between. 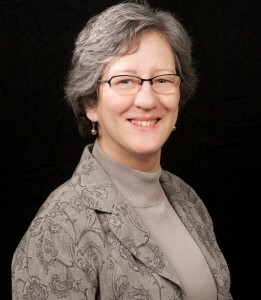 In addition to her duties as consultant and ASRC board member, she continues to run the Practical Psychology Press, which Al founded in 1986 to offer his books and media for sale. She has become an accomplished editor and web and print graphic designer and prides herself in producing professional quality products that are user-friendly. She has a Bachelor’s degree from Oregon State University in communications and specifically, TV production. Review her profile on LinkedIn.